The best Aussie Bush hat made. 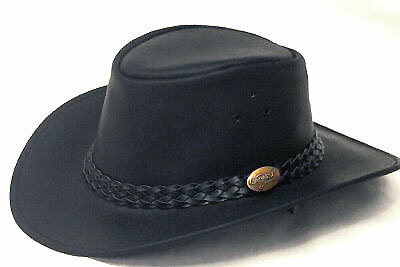 Worn by the Aussie Ringers (Outback Cowboy) a wiry sort of a bloke, hard as nails and as tough as greenhide. He never heads out into the bush without his best friend (his dog), a good pair of boots, a swag (bedroll) and his hat. Most durable of all our hats!